The crisis in Afghanistan seems to be heading towards another cycle of peace after war and vice versa. 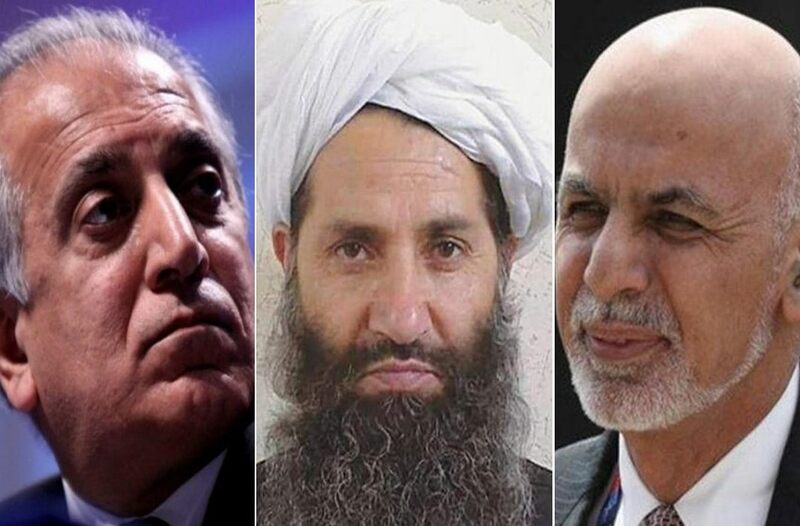 A Taliban delegation has met with US envoy Zalmay Khalilzad in Qatar on Friday to discuss ending the conflict. Taliban have confirmed the meeting on Saturday through a statement sent to the journalists. The statement said that Khalilzad was accompanied with other American officials during the meeting. Taliban’s Qatar based office sent the communication to the journalists through email. Meanwhile Kabul based Tolo News reports on Saturday that the US special envoy Khalilzad met President Ashraf Ghani and assured that Washington will work with Afghanistan in its quest for peace. He returned to Kabul after 11-day trip to Pakistan, UAE, Qatar, and Saudi Arabia. A statement issued by President’s office in Kabul on Saturday said that President Ashraf Ghani met with the US Special Representative for Afghanistan Reconciliation Ambassador Zalmay Khalilzad who briefed him on his visit to regional countries, and said the US is ready to help Afghanistan with the peace process. Afghanistan’s Second Vice President Mohammad Sarwar Danish and CEO Abdullah Abdullah were also present during the meeting. On Friday, Khalilzad met with Qatar’s Deputy Prime Minister and Minister of Foreign Affairs, Sheikh Mohamed bin Abdulrahman Al Thani in Doha. Khalilzad was in Kabul last Sunday as part of his regional consultations. He returned from his four-nation tour to Kabul on Saturday. At the end of Khalilzad’s initial meetings in Kabul last Sunday, the US Embassy in Kabul said in a statement after Khalilzad met with President Ashraf Ghani and CEO Abdullah Abdullah, as well as representatives of different political groups, civil society organizations including the High Peace Council, and Afghan media. During his meetings with all stake holders, Khalilzad had reportedly asked for cooperation from all sides to bring an end to the conflict and called on the parties to facilitate dialogue by forming inclusive negotiating teams. In June 2013, the Taliban officially opened their office in Qatar, but became bone of contention on the office sign and the flag. This was known as “The Political Bureau of the Islamic Emirate of Afghanistan” along with white flag. It remained defunct for years due to Kabul’s pressure. After Saudi Arabia and three other countries severed ties with Qatar last year, Riyadh alleged Doha for supporting terrorists. An official in Qatar was quoted saying they were doing what Americans asked them to do. Saudi Arabia alleged Qatar of supporting Muslim Brotherhood, Taliban and Hamas.